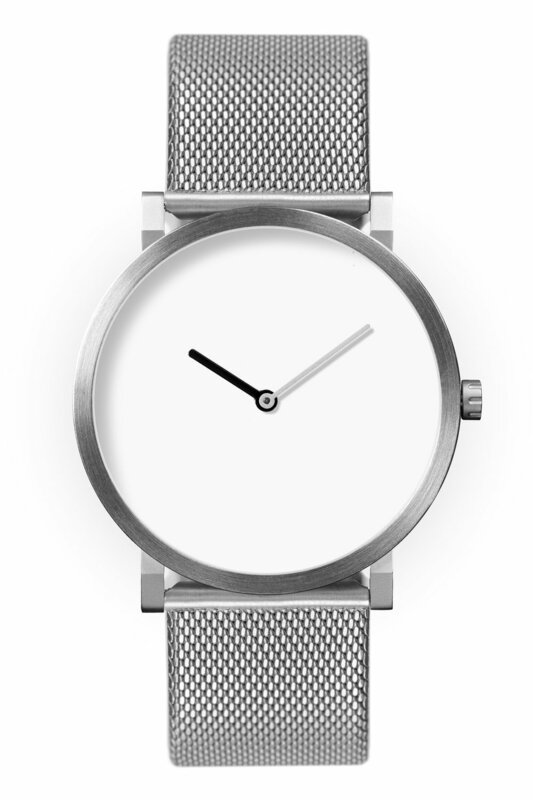 Pre-order your watch before April 30th and get a 30% discount on the first numbered editions. We will contact you to discuss the details towards the end of May. These first editions will be individually numbered. Pre-ordering your watch allows you to customize to your taste. We will assemble your watch especially for you by allowing you to combine all watch face and strap options. Price INCL VAT, Free shipping in Europe & North America. Delivery expected end of July. Free shipping in Europe & North America included. Your watch will be shipped towards the end of July. We accept Credit Card, PayPal and iDeal, SEPA Bank Transfer, Bancontact, SOFORT, Giropay, Belfius and ING Home’Pay. All pre-order purchases are covered with a 4 year extended limited warranty. The structure of each dial will be slightly different and unique due to the characteristics of the precious metal. Available in Gold leaf, Silver Leaf, Copper leaf & Palladium leaf finishes. The case is comprised of two main parts with no back, a construction known as monocoque or unibody. The more complex construction makes the body of this piece slender and refined to the eye, and pleasant to the wrist. At the back are two small convex hills. In the window of the first can be seen the gold plated Swiss Made Ronda quartz movement and its rubies – an element only found in the highest quality timepieces. The second hill’s fine blue screw is the access point to the unlocking system for the winding stem. Silk will be Swiss Made in Bienne, Switzerland by Pierre Junod. Pierre Junod and Paulus van Leeuwen work closely together for a long time already on many aspects of the design, production and marketing of watches with an aesthetic and contemporary touch. Established in 1994, Pierre Junod manufactures watches by renowned designers and architects including, Lella & Massimo Vignelli, Mario Botta and Michael Graves. We know and trust that Pierre Junod has the same approach towards quality as we have.